You’ve undoubtedly heard by now that Copyblogger shut down its Facebook page. Since Copyblogger is a respected educator on blogging and content marketing, this move is the center of controversy. I want to be clear that I am a huge fan of Copyblogger. I think back to the first year of my website, and their content helped blaze a path during a time I lacked vision. This post isn’t meant to bash Copyblogger for their decision. It’s something they put a lot of thought into, and I’m sure it was well calculated. In fact, it took a whole lot of guts to do something like this. But as a public decision that has received so much attention, it deserves to be dissected. Also keep in mind that much of my disappointment is based on them not using Facebook ads. However, that’s just not their style. So understand that my suggestions are unlikely to align with their core values. But I can’t help but think of the missed opportunities. Most online brands would kill for their website traffic and customer list. The things you can do with that when combined with Facebook ads are pretty incredible. Copyblogger recently killed their Facebook page. Was that a big mistake? Copyblogger had a Facebook fan base of approximately 38,000 people before they pulled the plug. This audience was built organically over the span of several years without the help of ads. First, the page had an overwhelming number of junk fans. These are accounts with little to no personal status update activity that just go around ‘Liking’ Facebook pages. They’re essentially accounts tied to ‘click farms’ — ones paid pennies for every Facebook page they Like. They say that their page “had an overwhelming number of junk fans.” There is no clarification or proof here regarding how many, but the claim is that many of their fans were bot and spam accounts from “other” countries. Copyblogger even went to lengths to remove these “junk fans” and prevent them from seeing future content. While every page is bound to get some undesirable fans, it seems odd that a page that never spent a dime on advertising would have a significant problem. It’s easy to end up with a few spam accounts if you aren’t careful with your ad targeting. It sure would be nice if we were able to take an inside look at the Copyblogger’s Facebook audience, right? The page may no longer exist, but that doesn’t prevent me from doing a little bit of research on the “Copyblogger” interest using Audience Insights. This may not be a perfect exercise, but I have confidence that there is value here. While not all users that come up in this case will be a fan, I find that it lines up almost perfectly for most brands. As evidence, let’s use my page as an example before we get started. 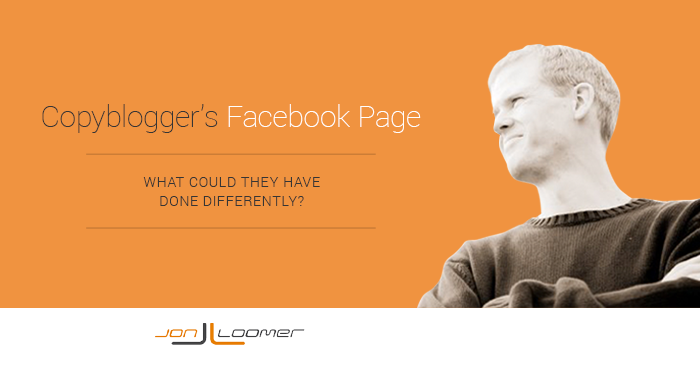 When I enter the Jon Loomer Digital interest into Audience Insights, I find that there are between 35-40,000 Facebook users connected to that interest in the United States, Canada, Australia and United Kingdom (between 50.3% and 57.5%). Since I manage the Jon Loomer Digital Page, I can also get a clear picture of the number of fans the page has in those countries. As you see here, that number is approximately 36,400 (52.3%), which lines up perfectly with the 35-40,000 figure reported for the Jon Loomer Digital interest. Back to Copyblogger. The break-up article complained of a high concentration of fans in “undesirable” countries. Using Audience Insights, I see that between 20-25,000 (between 52.6% and 65.8%) of their fans came from the United States, Canada, Australia and United Kingdom. Note that this percentage is consistent with — if not higher than — my audience in those countries. On the flip side, I only found that between 2,500 and 3,000 of their fans (between 6.6% and 7.9%) were coming from the “undesirable” countries they labeled: Afghanistan, Bangladesh, Egypt, India, Indonesia and Pakistan (I was unable to include Syria, but that would unlikely make much of a difference). Granted, they say they cleaned this up, but that’s not an outrageous number. First of all, I think it’s dangerous to label all fans from those countries as “fakes,” “bots” or “undesirables.” Yes, studies have shown that there is a fake profile problem in some of these countries. That happens in the US as well. Not to mention India is one of the fastest growing REAL tech audiences (I do get a measurable amount of traffic and sales from India). In fact, a little research shows that India is one of Copyblogger’s main sources of traffic. 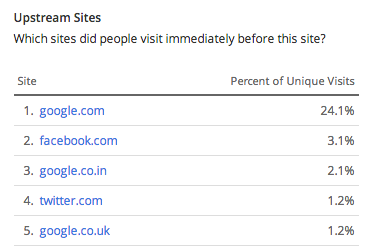 According to Quantcast, India provides 6% of their traffic (third behind the United States and United Kingdom). Alexa says that India represents 13.7% of all Copyblogger visitors, second only to the United States. Regardless, let’s assume there’s truth to Copyblogger’s claim about those countries. My fan base includes 5,200 of such fans, or about 7.5% of my entire audience. Once again, consistent with what Copyblogger was seeing. Keep in mind that I do not deal with a major spam problem. Moreover, Copyblogger complained about poor reach and engagement. I reach a high percentage of my fans organically. According to the AgoraPulse Barometer, I reach 41.4% of my fans on average with a given post, and also have an average organic reach of 40.5%. While my Engagement Rate is slightly below average for a page my size (6.4% vs. 8.1%), I also don’t try to game the system with photos and other easy-click content. Lots of links! I share this because my concentration of fans by country is actually quite similar to what Copyblogger was seeing. 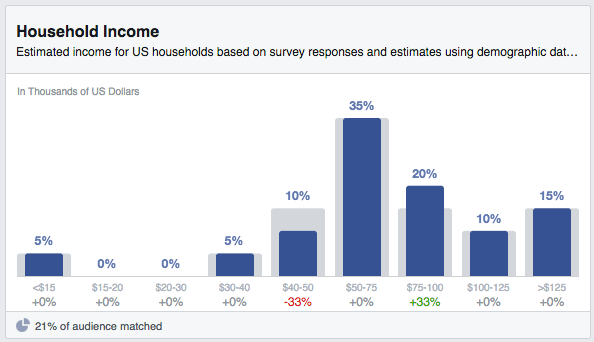 Yet I drive a great deal of traffic and sales with my Facebook page — organic and paid. Let’s not stop here. I want to dig a bit deeper with Audience Insights to see if their fan base is representative of what you’d consider a Copyblogger audience to be. When I started only with the United States, United Kingdom, Australia and Canada, this was even more pronounced (60% women). When I added the other 44 countries, this evened out a bit to 51% women and 49% men. 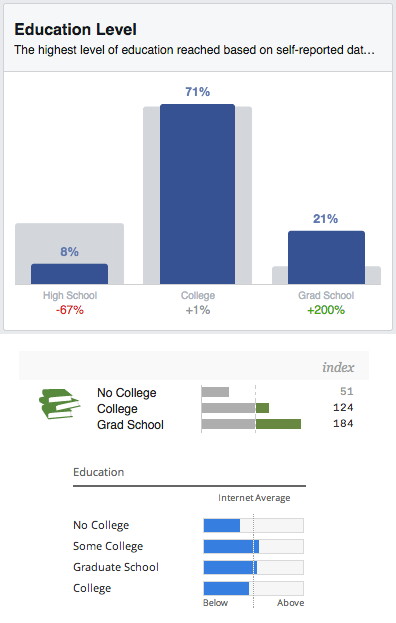 According to Audience Insights, Copyblogger fans were more likely than the typical Facebook user to have attended college and far more likely to have attended grad school. In fact, only 8% stopped their education after high school. 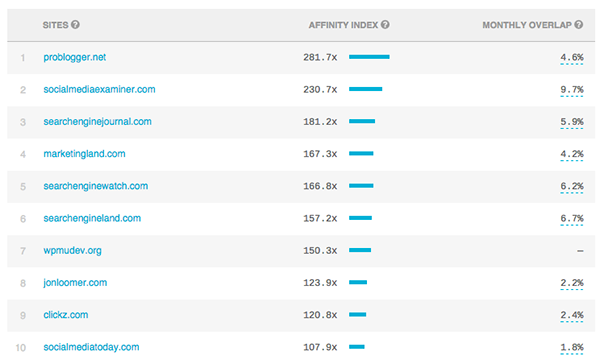 While the list that Quantcast gives is a bit different, SocialMediaExaminer.com shows up second and SocialMediaToday.com is 10th. In fact, I’m #8! All other countries represent 2% or less. Once again, no other countries over 2%. The results are eerily similar. According to Audience Insights, Copyblogger fans in the US (the only country this data is available) made more money than the typical Facebook user. 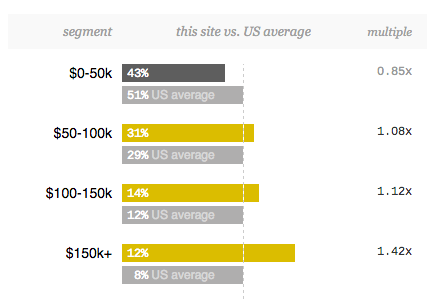 The $75-100k bracket skewed highest compared to the general Facebook audience. The under $50k crowd was practically nonexistent. This is consistent with Quantcast, which reports that Copyblogger readers are far less likely than the typical internet user to make under $50,000 per year and far more likely to make more. Maybe their fans weren’t engaging at the level Copyblogger expected. 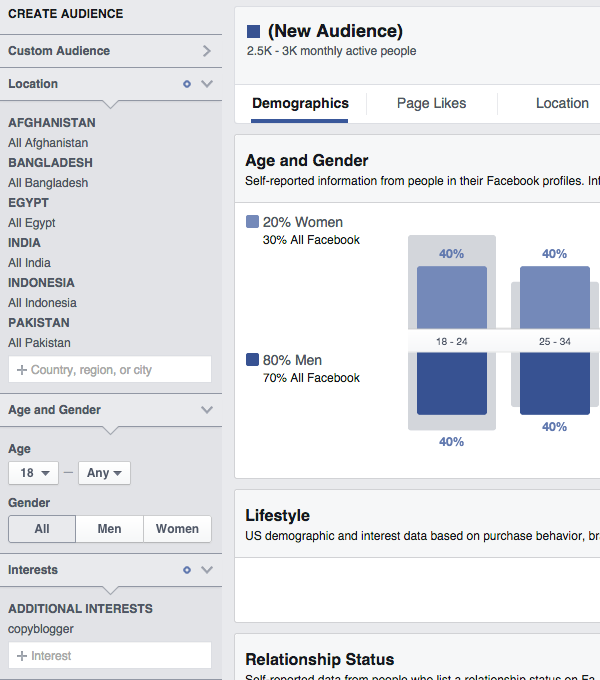 But based on this research, it’s quite clear that their Facebook fans lined up closely with their website visitors. I found it interesting that Alexa reports Facebook as the second highest referrer to Copyblogger, at 3.1%. Granted, 3.1% isn’t a huge number. But considering Copyblogger gets around 450k monthly uniques according to Quantcast, that’s about 14,000 of their monthly visitors — and potentially 25,000 of their total page views. Copyblogger has found value actively engaging with its community through Twitter and Google+. Twitter is an amazing platform at both the brand level and for many of the individuals in the company (plus, you retweet posts like nobody’s business). How valuable are those retweets from Twitter?? Facebook nearly triples Twitter’s referrals to Copyblogger. 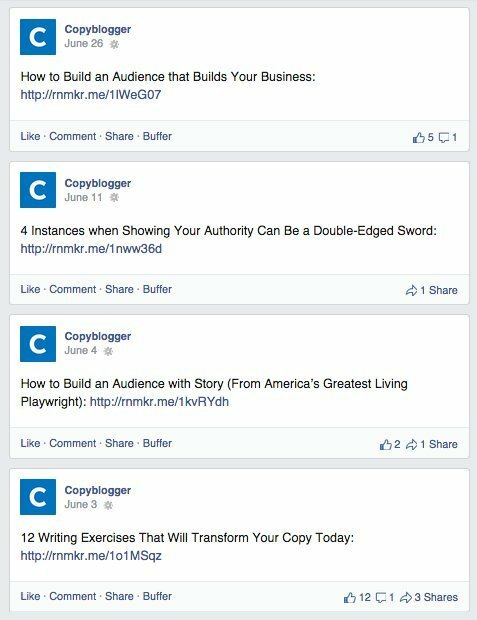 Copyblogger was able to build an audience of 38,000 people without spending a dime on Facebook ads. That’s a testament to the strength of their brand. They made an assumption that the reason for this was fake accounts. Like many other brands that struggle with Facebook, Copyblogger used the Veritasium “Facebook Fraud” video as the smoking gun. It provided all the validation they needed that their failures were due to spam profiles (make sure to read my response to that video). Based on my research of their page, I find it unlikely that this was a major contributor to their issues. 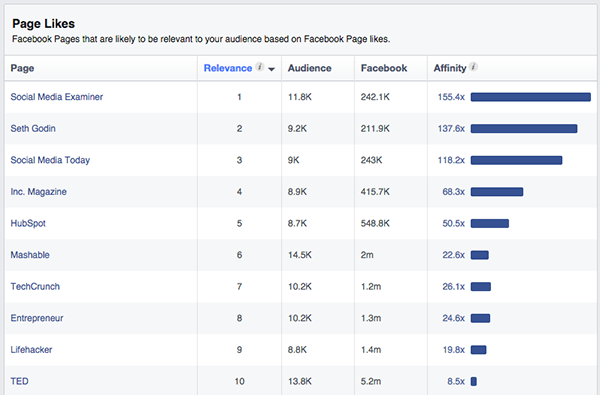 Instead, it looks like their Facebook fans line up quite nicely with their website visitors in nearly every way. In fact, a country they label as spam-ridden, India, represents no more of their Facebook audience than their website audience. First, I am going to take their word for it that their efforts weren’t working. It’s difficult, though, since there was no mention of how many website referrals and sales came from their Facebook posts. But I’ll take their word for it that they struggled to get any meaningful engagement with their Facebook posts. Their could be an easy explanation for this: Stale fans. I don’t know how long the Copyblogger Facebook page has been in existence, but since they are smart marketers I’ll assume that it’s been up for several years. Since brand pages have been around since November of 2007, I’d bet that Copyblogger was early to the party and had their page for more than six years. While 38,000 fans is a lot, that’s not much growth over a period of six or seven years — particularly for a website that gets 800,000 page views per month (according to Quantcast). Think for a moment about the pages you have liked over the years. How many of those pages do you still care about? How many do you still interact with? The truth is that people get bored. And when you stop interacting with content from a certain friend or brand, you’re going to stop seeing content from that source. 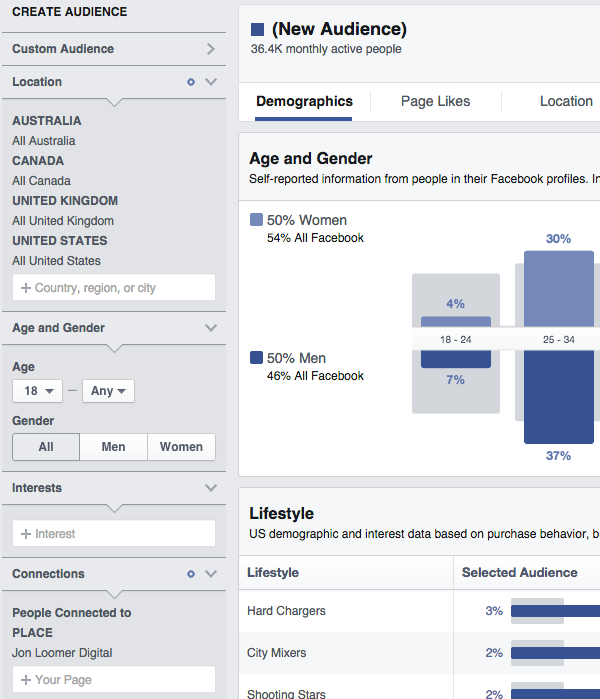 The typical Facebook fan is highly engaged for the first 30 days or so. But they get bored. They pay less attention over time. And eventually, your content may completely disappear for them — and they’re okay with that. Considering their page was likely around for at least six years, think about how many stale fans that includes. Fans that liked the page years ago but may no longer care. While the audience itself may have been plenty relevant, Copyblogger did little to keep a fresh group of fans coming through. How would they view an email list of 38,000 subscribers built over six or seven years? Would the old subscribers be as active as the new ones? While I recommend ads to build a fresh audience, traffic and their email list may have been all that was needed to keep a new set of fans coming through. The first time I came across their Facebook page was probably about a year ago, and I was quite shocked about how poorly it was managed: no interaction with the fans, only sharing links, but even those were not rich links, just article headlines with a link in the text post – if that’s the trend for the past 5 years, how could they expect any engagement from their fans? The author agreed that there was no real strategy for Facebook before she joined, and although things improved later on, the damage was already done. If this is the way Copyblogger was posting to their Facebook page prior to the three month strategy revamp, it’s no wonder they weren’t succeeding. They had the right audience, but they were boring the hell out of them. 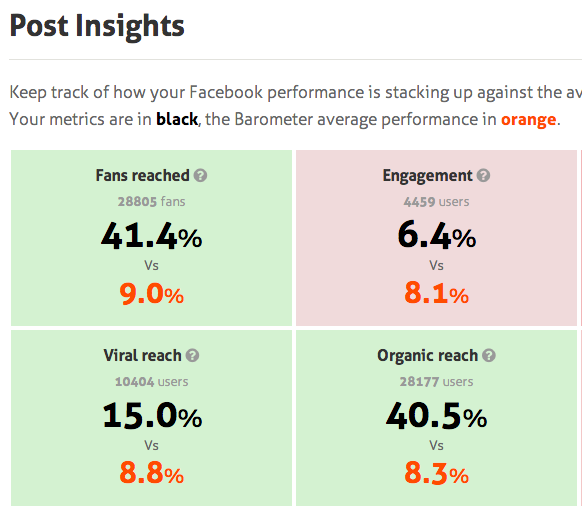 This is a great example of the damage that can be done if you don’t post engaging content. Because they were so boring, Facebook undoubtedly stopped showing their content to the majority of their fans. The only way to re-engage them likely would have been with ads. I’m disappointed that this wasn’t mentioned in their explanation for shutting down their page. It is a huge factor that contributed to their struggles. I understand that Copyblogger was frustrated with the impact they were making on Facebook. But why delete the page entirely? While I trust that Copyblogger’s intentions were good and pure, I’ve seen so many brands make similar public moves with their Facebook pages that it often makes me skeptical. Other brands get a ton of traffic and attention for announcing they’ll shut down their Facebook page (according to Quantcast, Copyblogger had a pretty big traffic spike on October 17 — the day they announced their split with Facebook). How often do you see this with a Twitter or Google+ account? I get far more from my Facebook efforts, but I’d never consider the option of shutting down my other accounts. What’s the point? I get dedicating fewer resources to the page. I get investing less time and money to keep it going. But deleting it forever? All 38,000 fans gone? Why? What if something changes that would be a huge benefit to them? What if someone convinces them that they do indeed need to use Facebook? Well, now they need to start over. And I assume they previously used the fb.com/copyblogger username. They’ll need a new one now. And they’ll need to start from scratch. Sure, those fans may be stale. But I just don’t understand the need for such dramatic action. As mentioned earlier, public info found on Quantcast tells us that Copyblogger is getting around 450,000 unique visitors and 800,000 page views per month. Oh man. That’s a ton of traffic to work with! 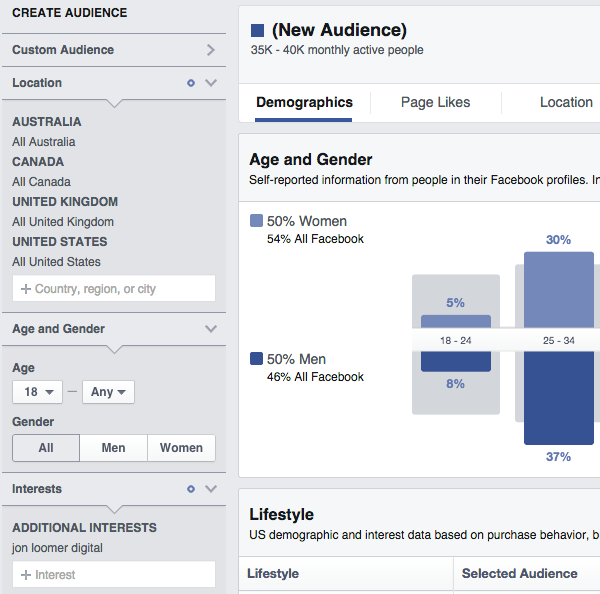 They could have built their audience very easily and inexpensively with Facebook ads. With that many monthly visitors, they could have run ads targeting only those who visited their website recently — even within the past 24 hours — asking them to like the page (using Website Custom Audiences). I also assume they have well over 100,000 email subscribers. I can only guess how large that list is, but Social Media Examiner boasts a list of nearly 300,000 people. 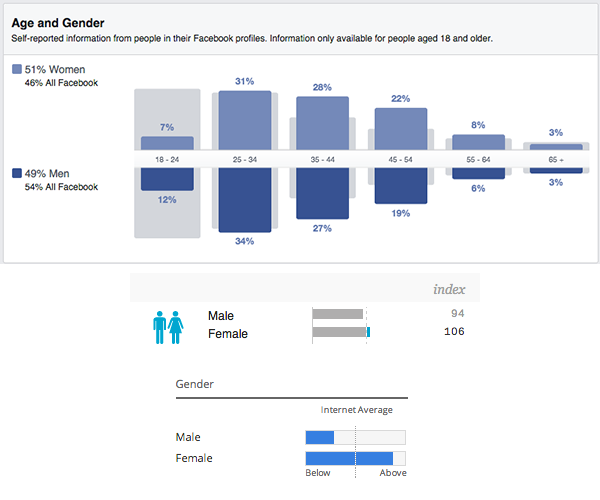 That’s a nice, large group of people who would be very likely to want to engage on Facebook. Creating an email Custom Audience and running ads to those people would have done the trick. I personally have a routine for driving website traffic with Facebook ads. Copyblogger surely could have benefited as well. They publish a new blog post five days per week. They could have promoted each new blog post to fans, email subscribers and recent website visitors. In fact, they undoubtedly have blog posts broken down by category. They could have promoted new blog posts to users who have read similar blog posts in the past to reach a highly relevant group. Copyblogger has 16 free ebooks that they could have promoted with Facebook ads. They could have promoted them to fans or general website visitors. But even better, using Website Custom Audiences they could have promoted the relevant ebook based on the page a user visited. Maybe they visited the landing page for that ebook. Or they visited a blog post that was closely related to the same topic. And of course, they could have excluded those who already opted in to prevent waste and keep the ads as relevant as possible. Copyblogger also has a $399 annual membership called Authority. I’m sure they’ve developed a great email funnel that they use to drive purchases of that membership. 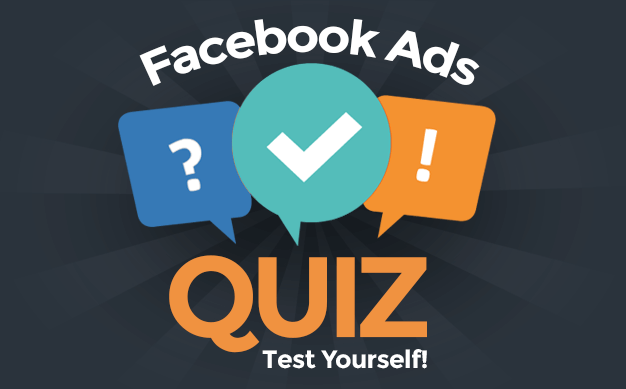 Why not do the same thing with Facebook ads? They could have targeted those who visited their website generally. Or they could have targeted those who opted in to their email list, but haven’t yet become a member. Whatever email messaging approach they use to push the upsell could have been used to target the same audience with Facebook ads. Again, I have an enormous amount of respect for Copyblogger. They’re often ahead of the trends (in fact, this follows their controversial move to turn off blog comments in March).